... It's Canada Dry time! 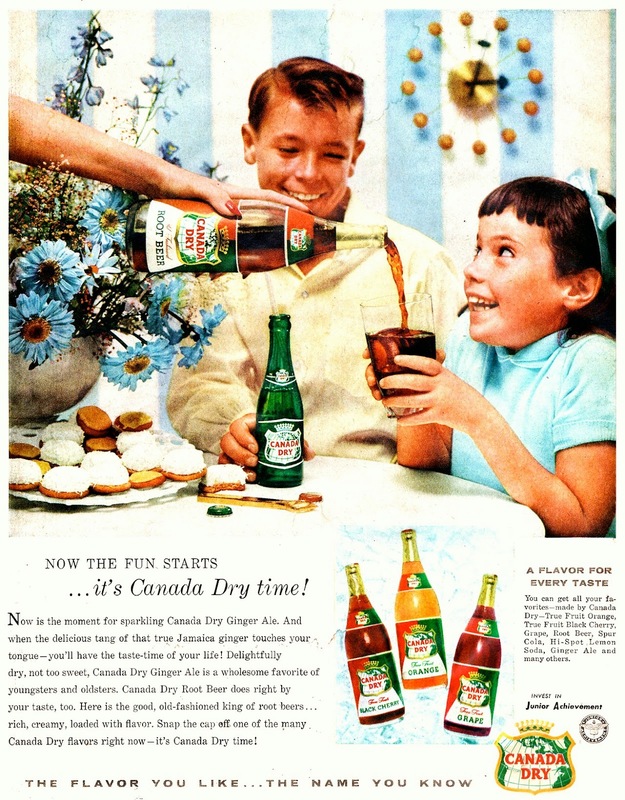 There so much goodness going on, in this vintage advertisement for Canada Dry Root beer. First, that girl is about 3 cups of sugar, past her cut off. But I am willing to look past her sugar high. Just to gaze at the amazing Mid Century wall clock! Look at that beauty. That needs to be living in my home. Sitting above my couch.